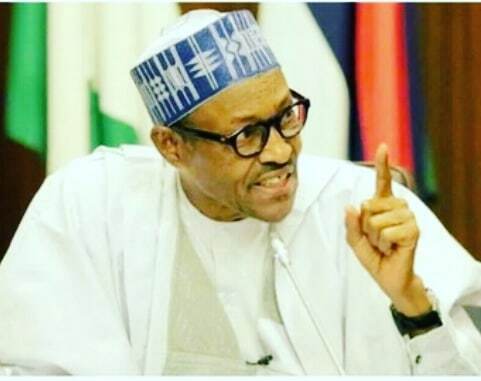 President Muhammadu Buhari has again re-echoed his decision to seek re-election in 2019, assuring his supporters that he is confident of winning. President Buhari further encouraged parents to send their children to school to acquire western education, saying life would not be good without education. He commended Bauchi State Governor, Mohammed Abdullahi Abubakar, for using his bailout funds to clear salary arrears and ensure regular payment of salaries in the state. In his remarks, Abubakar said the main objectives of distributing the 500 tractors to farmers were to boost rice and maize production in the state. He recalled that Nigerians used to go outside the country to buy rice, but with these farm implements, farmers in the state would no longer suffer setbacks. The governor said all the farm implements which include, ox-plough, power feller, tractors, grinding machines, water pumping machines, mini pick-up van, fertilizer, plastic fish pond, motorcycles and tricycles would be sold to farmers at subsidised rates. He said unemployed youths in the state would be employed and trained on how to handle some of the machines, carry out minor repairs, monitoring and safeguarding the machines to reduce the number of unemployed youths in the state. Earlier, the president who inaugurated a 60-bed Nigerian Air Force Reference Hospital, said the establishment of the special operation command of the Nigerian Air Force in Bauchi is in response to the current and emerging threat facing the country. He stated that the special command which is co-located with the new hospital confirms the administration’s collective commitment to tackling any threat to the security of the country. The president said he was delighted that the hospital, though a military facility, would grant access to civilians in an emergency, and acknowledged that the hospital is of international standard. Buhari said: “Counter insurgency efforts are bound to be enhanced by the location of the hospital because of its proximity to the theatre of operation”, adding that it would reduce the hitherto long distance to 44 Nigerian Army Reference Hospital and Nigeria Air Force Hospital in Kaduna for casualties thus saving time for casualty evacuation. He, therefore, urged Nigerian Air Force to put an adequate mechanism in place to ensure an enduring and optimal performance of the hospital, adding that it would eventually serve as a precursor to the resets list of Armed Forces Medical Services (AFMS) as envisaged in Defence policy of Nigeria. The Chief of Air Staff said the effect of the president’s support has manifested in the various theatres of operations especially in the geopolitical zones of the country.